I wanted to do something different and offer a different kind of template on this blog. I made a 5x7 card that you can use for a baby announcement. The .png files you will have to use as either a boy or girl announcement but the .psd file you can use as any kind of card you want. You can change the paper, colors, and text to whatever you want. You also don't have to have the photo layer if you don't want. Here is the preview of what you will be getting. 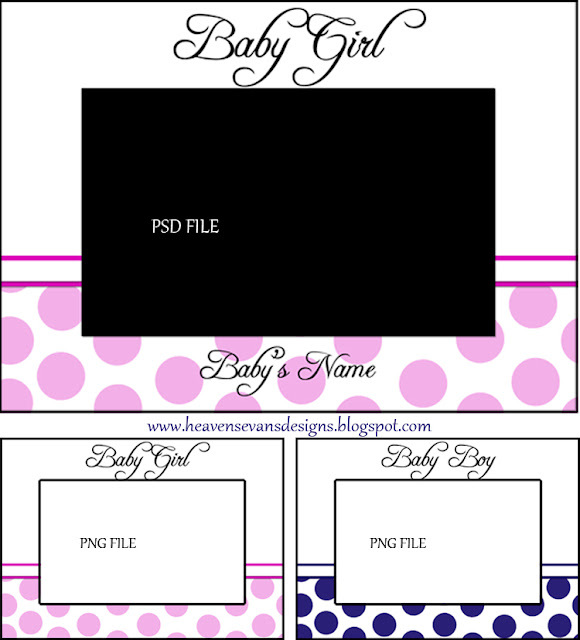 The top is the psd file of the card and the two bottom ones are the png files. Have fun! You can click on the image for a direct download or download here.